Trailblazing guitarist Kurt Rosenwinkel and his New Quartet band close out Lawrence University’s 2015-16 Jazz Series Friday, May 13 at 8 p.m. in the Lawrence Memorial Chapel. Tickets, at $25/$30 for adults, $20/$25 for seniors and $18/$20 for students are available through the Lawrence Box Office, 920-832-6749. 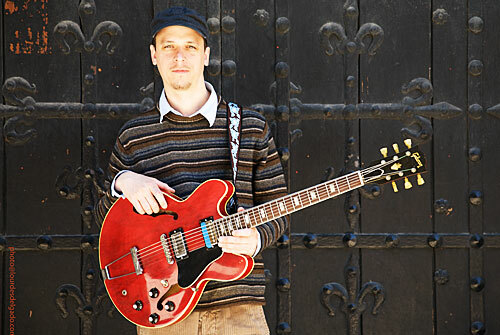 During his 25-year career, Rosenwinkel, who lives in Berlin, Germany, has evolved the language of jazz in a way few other guitarists have since his arrival on the scene. He won the 1995 Composer’s Award from the National Endowment for the Arts and since has released 10 studio albums. He also has been featured on more than 75 other albums, including hip-hop veteran Q-Tip’s “Renaissance” project. 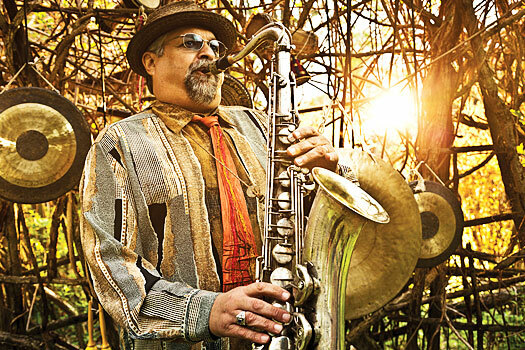 His extensive list of collaborations includes such dynamic peers as Brad Mehldau, Brian Blade, Joshua Redman and Chris Potter as well as jazz elders Joe Henderson, Paul Motian and Gary Burton. “Kurt is both unique and very steeped in bebop tradition,” said Steve Peplin, who teaches jazz guitar at Lawrence. “His earlier work really shows how deeply rooted he is in the language of jazz. His compositions, on the other hand, are very modern, often informed by the new augmented-scale thing happening around the globe, but much more deep than just another harmonic concept Kurt reminds me of Lennie Tristano in the way he synthesizes the old and the new. “His emphasis on tone and a light touch, combined with singing his lines in unison with his guitar creates a ghostly sonority not often heard in modern jazz guitar,” Peplin added. It features his New Quartet band — pianist Aaron Parks, bassist Eric Revis and drummer Justin Faulkner — a fiery group of rising stars and veterans-in-the-making.